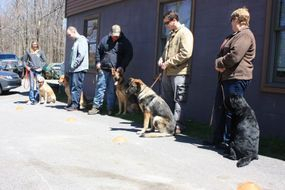 K-9 Academy teaches all breads of dogs, large or small. 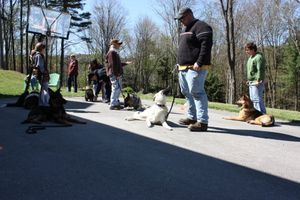 We are focused on teaching rather then training a dog as well as removing fear and building a dog's confidence. 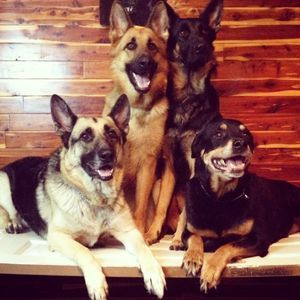 All dogs have obsesive compulsive personalities to one degree or another. Understanding how, why, and what a dog is thinking allows us to attack the "cause" rather than the "effect" of any behavior issue. Dog training done properly isn't dog training at all, it’s dog teaching. Instead of training dogs to perform a conditioned response we teach our cadets to think and learn. This method of teaching dogs is much like that of teaching a child. We need to teach them to count before we can teach them to add or subtract, each lesson builds upon the one before. Teaching a dog to think instead of conditioning him to respond increases his intelligence, cognitive reasoning and problem solving skills. Tony does not use food as a reward. He believes this teaches bad habits, increases fearfulness and prey drive, as well as reversing the domestication process. It also encourages obesity by associating food with praise and reward. Most importantly it teaches drive which feeds compulsion, and compulsion is the root cause of all behavior problems.